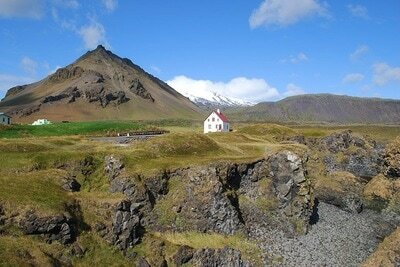 Family self drive holiday off the beaten track - enjoy Icelandic nature at its best. Travelling around Iceland with your family is fun and easy. You can rent vehicles of all sizes to suit your family. The West has many of the most beautiful sights in Iceland. The family nature adventure is the perfect self drive package for adventurous families looking to get away and explore together. This self-drive is full of fascinating sites and activities giving you a richer connection with Iceland that will remain with you. During your holiday you‘ll travel off the beaten track of Iceland, where you will enjoy the Icelandic nature at its best! Explore Iceland’s ancient history and diverse wildlife, while partaking in some of the most interesting activities the country has to offer. Your family holiday starts with arrival and the pick-up of your rental car at Keflavik International Airport. Once you are settled in your car you'll drive through the southern coast of the lava-covered Reykjanes Peninsula towards Hveragerdi. After settling in at your hotel we recommend that you take the time to wash of the ´traveling dust' and relax at the hotel's geothermal pool. Overnight in Hveragerdi. 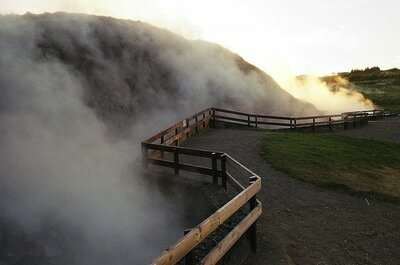 After breakfast at your hotel, start the day with driving to the small geothermal village of Reykholt. The celebrated natural wonders along the Golden Circle route are an absolute must for nature and history lovers alike. Thingvellir National Park is an amazing site, steeped in history and folklore, and surrounded by incredible geology. Thingvellir is the only place on earth which tectonic plates can be seen above ground. Next stop is Geysir Geothermal Area which is dotted with many hot pools, clay pots, and fumaroles, and the hills and soil are colored vividly by the minerals of the earth. It would be a fascinating enough site even without the two geysers that make it famous. Your Third stop is Gullfoss waterfall which is located in a plunging, ancient valley, this powerful falls tumbles down two drops, from an overall height of 105 ft. At its heaviest flow during summer, an average of 459 cubic feet of water pours down it every second. A drive along scenic Hvalfjordur (Whale) Fjord reveals Bjarteyjarsandur, a working horse and sheep farm, where you may choose to stop for a friendly visit or even participate in fun farm activities. 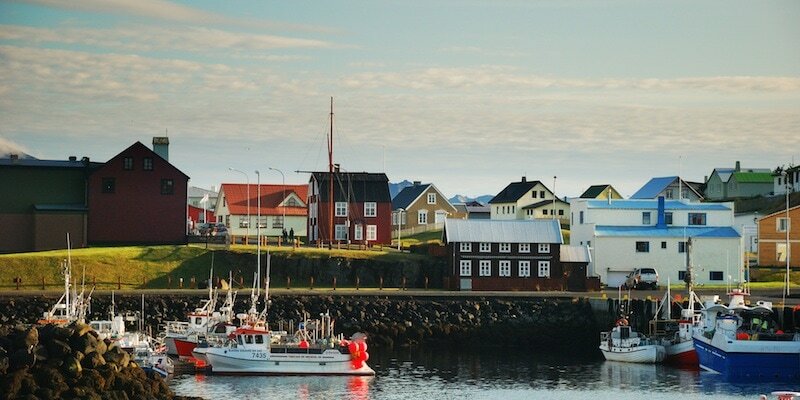 Driving further into west Iceland brings you to Borgarnes, known for Iceland’s beloved Sagas, where you can go on a voyage of discovery at the Settlement Center which explores the history of Iceland’s early settlement by Nordic Vikings. Overnight in west Iceland. After breakfast at your hotel, a drive through Borgarfjordur will reveal a region proud of its legacy. 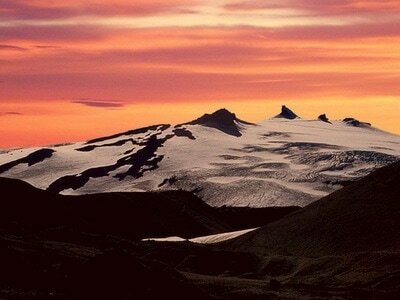 It was the setting for most of the Icelandic Sagas. 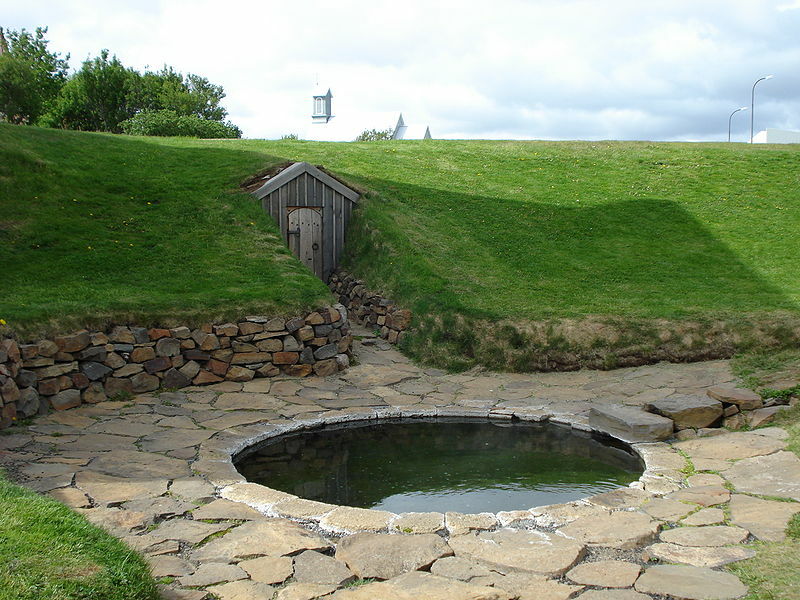 While in Reykholt, you'll be walking in the footsteps of Snorri Sturluson, famed Saga poet and author. Drive to Hraunfossar (Lava Falls), where the water seems to magically appear from the moss covered lava rocks and shiver down into the rushing turquoise blue waters below; its neighbour Barnafoss (Children's Falls) resembles a pale blue milkshake of short, fierce rapids that cut through a narrow canyon. Nearby is Europe's most powerful hot spring, Deildatunguhver, where visitors can buy organic tomatoes grown using geothermal heat in the nearby greenhouses. We recommend a stop at Erpsstadir dairy farm, where you can get an introduction to Icelandic farm life, pet the bunnies and taste the freshly made ice-cream. Head onward to Laugar in Saelingsdalur for a relaxing evening and your overnight accommodation. After breakfast at your hotel, enjoy having no plans at all. Relax in the outdoor pool and hot tub. Go for a hike to the Elf Church at Tungustapi or maybe a ride on one of the mountain bikes available at the hotel. There will be no interruptions from the outside world as Laugar has limited phone reception. After breakfast at your hotel, start your day early and head out to explore the Snaefellsnes Peninsula. A very interesting and worthwhile stop is the Shark Museum at Bjarnarhofn. A courageous taste of 'aged' shark meat, a local delicacy, and a fascinating lesson on shark fishing are sure to leave a lasting impression. 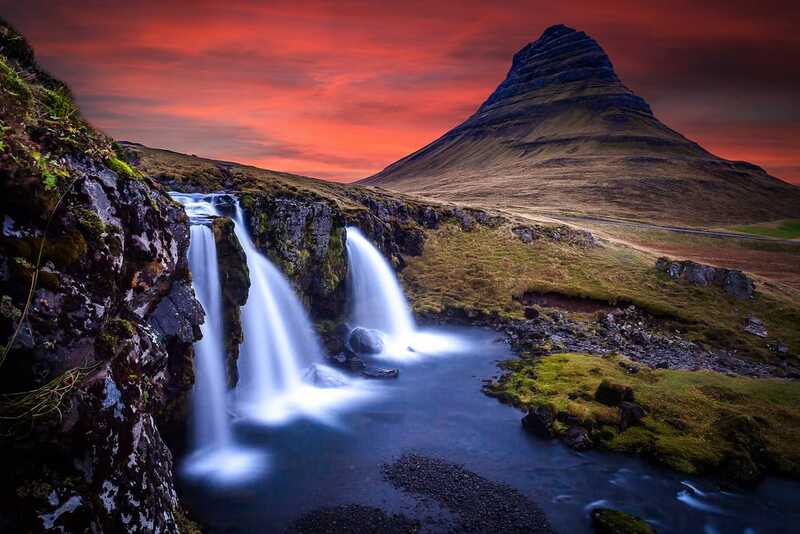 Explore the countless natural phenomena of Snaefellsnes National Park from pebbled beaches to wonderful hiking at Arnarstapi sea cliffs with incredible birdlife. The beach near the farm of Ytri Tunga is famous for colonies of curious seals known to climb up on the rocks and well worth a visit. Departure*: Breakfast at your hotel. 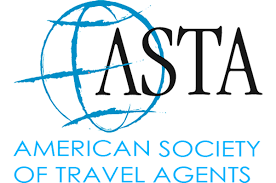 We recommend you depart your hotel no later than three hours before your flight. 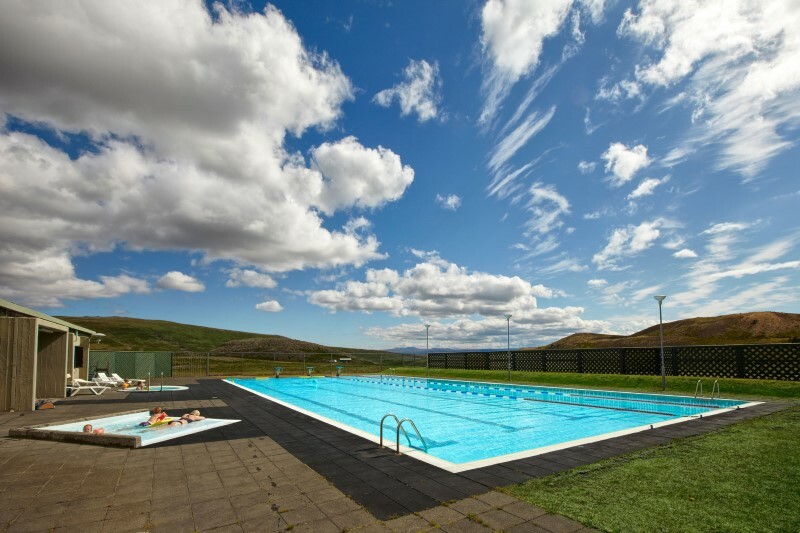 *Optional: If you are departing on an afternoon flight, a wonderful way to say goodbye to Iceland is with a relaxing dip in the soothing waters of the Blue Lagoon Geothermal Spa, located just 15 minutes from Keflavík International Airport. Facilities also include a gift shop, cafeteria and an excellent restaurant with lagoon views. Accommodation for 6 nights including breakfast a combination of farmhouses, guesthouses and hotels. Rooms with private facilities. Rental car for 6 days with CDW, unlimited mileage, VAT, airport service and theft protection. 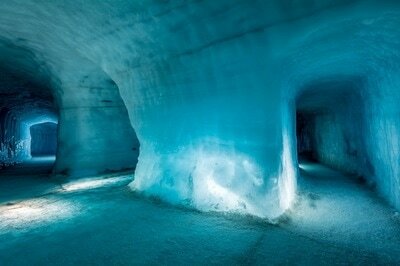 Possible to upgrade the accommodation upon request. *A combination of farmhouses, guesthouses, and hostels. Possible to upgrade the accommodation upon requrest. ​Rooms with private facilities.